Hello Blog Lovers!! I recently got a sew-in and I had to share with you guys my experience and let all of you that are stationed in the Atlanta Area know about this hair salon that specializes in sew-in hair extensions! My Sister (MsSimplyStylish) and I had decided that once the weather changed that we would go get sew-ins for a form of protective styling for our own hair. 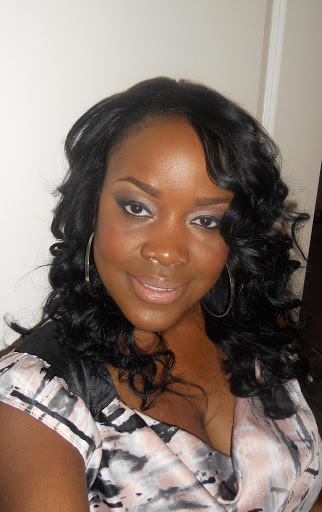 We originally decided that we wanted to try The Weave Shop that began its humble beginnings in Decatur, GA and has over the past few years expanded in numerous areas along the east coast. This particular weekend (this past weekend ) was a holiday weekend and we knew that there may be a possibility that we wouldn’t be able to get our desired styles at such short notice without making an appointment. Even though that posed as an issue for time we decided to give it a try. The uniqueness about these particular salons is that they specialize in weaves only and they have a process that gets the job done in a short period of time. To make a long story short we decided to search for another salon that specialized in the same thing but would allow us to make appointments because the other salon only allowed walk-ins. We didn’t want to deal with long wait times so we decided to find another salon. Upon searching through Google I discovered Walk-In Weaves by the Weave Express. I was immediately greeted with a catchy song and a overall nice looking website. Although I noticed there were some differences in the pricing compared to The Weave Shop I noticed that what they offered and how they described how they executed their weaving techniques I felt it was a fair price for what they offered. After sharing with my sister what I found I decided to contact all three locations to see if they had an appointment available for the two of us. I was able to successfully schedule an appointment at their Dunwoody Location. I was greeted by a nice friendly receptionist who was willing to schedule and appointment for me and my sister at anytime we were able to make it, which was a plus and I was happy. After finding the location via MapQuest (I don’t have a GPS so don’t judge me) with easy to follow directions My sister and I entered a mid-sized salon which was located in a shopping center. The walls were painted with a pretty combo of pink and green with black accent and very gorgeous pictures of their work done on models including Football Wives Star Chanita Foster. The receptionist was very friendly and greeted us with a smile and helped with choosing how we wanted our hair to be styled. We chose our styles and waited to be serviced. My sister went first and began her braiding process and once she was finished she was seated in the stylists chair for her to began the sew-in process. I was serviced next and I escorted to the braiding section of the salon (the braider was also friendly) after my hair was braided down I was serviced by a woman by the name of Connie. She was friendly as well. I was able to relay to the two women that serviced me how I wanted my hair to be styled and cut and I definitely received what I wanted. 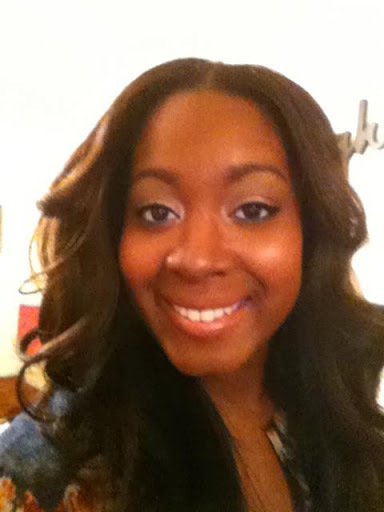 My sister was also satisfied and pleased with her stylist Tiffanie. 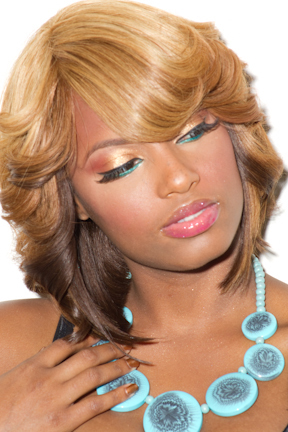 We have both made up our minds that we would go back for another visit when we decide to get another sew-in. 1. They sell hair so if you don’t have time to make it to the hair store before it closes or whatever the case may be you can get hair at the salon and it’s affordable!! 2. They have three convenient locations College Park, GA; Buckhead, GA; and Dunwoody, GA.
3.They are a full service salon so they offer more than just sew-in weaves and the pricing is also affordable!! Disclaimer: I’m not affiliated with Walk-In Weaves by the Weave Express and I was not asked to do this blog posting nor was I paid to do this blog posting. This is my experience and I wanted to share it with my readers and who ever comes across this posting for review purposes. I also can not compare this particular salon with other salons that offer similar services but I can say that they are one of a kind and you must experience it for yourself.